We adopted “Hoy” from New Beginnings Equine Rescue in 2006 for my daughter to continue riding, after the sudden death of her 1 st horse. 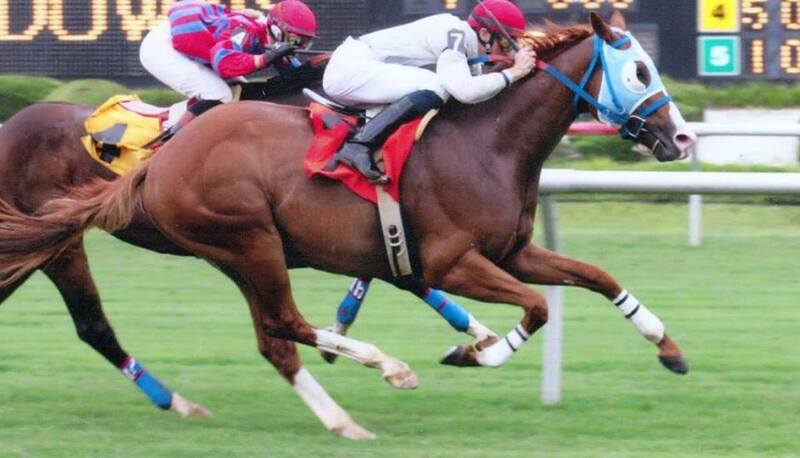 He came off the Finger Lakes track and was in horrible condition. It was love at first sight for him and my daughter, Mariah. He was a handful, for we were somewhat novice horse owners, at that time. But with love, good care, and support from more savvy horse owners, he blossomed. My daughter and “Hoy” became quite a team and she evolved into an excellent equestrian because of him. They did a lot of Natural Horsemanship together and some Clicker Training. And then they got interested in Dressage. Hoy is well built and athletic and loves to work. Once his head is in the game, he will do anything for you. Now some 12 years later my daughter is a college student and has lost interest in horses. She went to school for Equine Rehabilitation but left and is pursuing a different career. She loves her horse but does not have the time for him between work and school. She will be leaving the area in a few weeks, for about a year. I share her love of horses and ride when I get the chance, but Hoy needs a more confident rider than I am. Plus I run a business that keeps me busy with little down time right now. He has been sitting in a field for over a year. My daughter did ride him recently. She tacked him up and they took off like they never missed a day. It brought me a lot of joy to watch that. I miss being a horse show Mom. He is very sensitive and responds to people’s energy. If he is treated with respect and kindness, he will do anything for you. 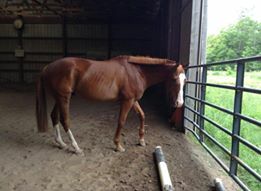 I promised this horse, the day we adopted him, that I would always protect him and not let anyone hurt him again. We are not a wealthy family. I was a single Mom who gave up a lot for my daughter to pursue her love of horses. It has been a financial burden. But one I took on because I love my child. Hoy sees the farrier every 8 weeks. He has been barefoot for years. He is UTD on all shots and worming. And has always seen the vet ,when necessary. He is healthy and happy. We have done right by him and want to continue to do so. The rescue we adopted from is no longer functioning. I did locate a board member who gave me a release from the contract to be able to place him where I felt best. We love this guy. This has been a difficult decision to even get to this point. Hoy 16 year old thoroughbred Gelding Chestnut with hind stockings and a blaze Hoy was rescued by us in 2006 from a local rescue that has since disbanded. 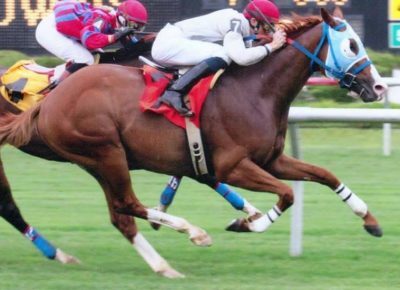 He was fresh off of the track, covered in injuries, thin, and had an abscessed foot. 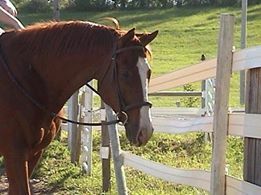 I had recently lost my 20 year old quarter horse, and we were looking at this horse who was named Hoy. He and I had bonded almost immediately that day, and I took my 500$ that my 9 year old self had saved from pet-sitting, and bought my rescue horse. I have now had Hoy for almost 13 years. 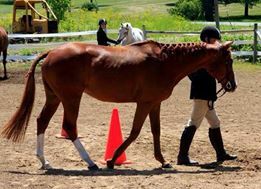 I have trained him myself from off the track thoroughbred that was scared to be ridden, to a wonderful English pleasure/lower level dressage horse. We went to local shows and won all of the time, and Hoy is a 7 time champion. 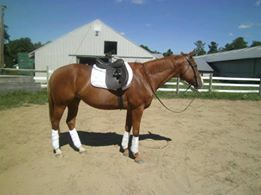 He loves to work, and once he gets into a routine and gets his head into the game, he is just a pleasure to watch and ride. Hoy has a minor tendon injury on his right front, but with leg wrapping and liniment application after each ride, it doesn’t bother him one bit. However, he really should not be jumped due to this. Other than this, he is incredibly sound, and has nice conformation. He has been barefoot for many years, and has never had a need for shoes. He is great for the farrier and the vet. He can tie, however a quick release tie is always ideal with him. He wasn’t treated well as a racehorse and he still gets skittish sometimes. He does not really like crossties either, he ground ties much better. Hoy is an “in your pocket” type of horse. He loves his people and he doesn’t dislike anyone. He loves carrots, and he will be your best friend and do anything for you if you show him respect and love. I want to find him a home where he can have his person who will give him as much love and attention as he deserves. 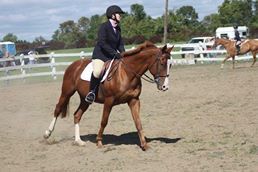 He is still very rideable and could be a perfect addition for an intermediate rider looking for an English pleasure and lower level dressage horse.